Today I have an easy shaker card to share. I used the new collection from Paige Taylor Evans and Crate Paper called Turn the Page. 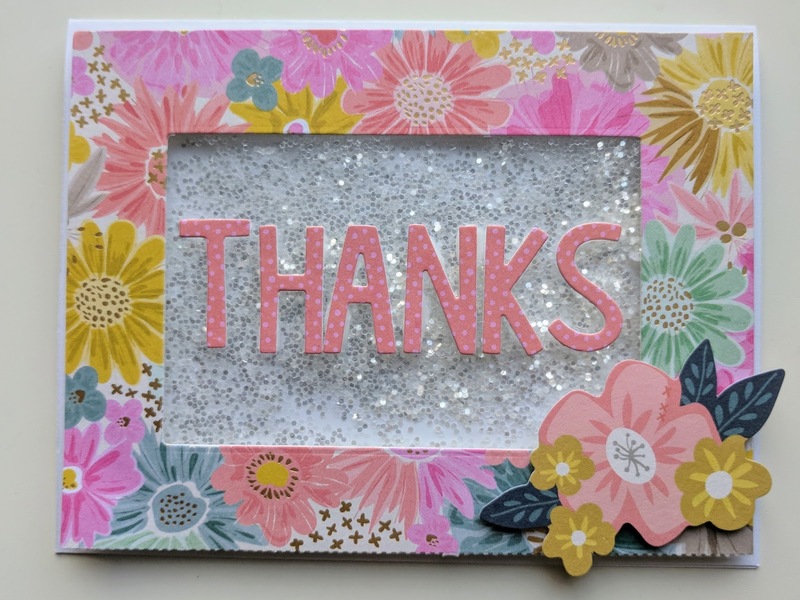 I used the 6x6 pad and a flower die cut from the Ephemera pack. 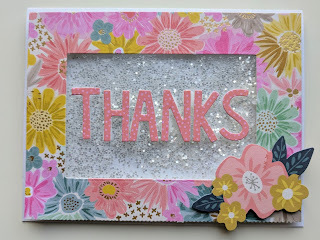 I started with a 4x5.25 pattern and cut a rectangle from the center and used another piece from the pad to die cut the sentiment using Lawn Fawn's Finley dies. I used a regular sheet of transparencies and some glitter and some foam to give it the dimension and space to shake. I mounted it on an A4 white card base. It's ready to fill in and send.